I am usually a woman of many words so how come I am finding this so hard to write? I missed attending the No To NATO lobby at the SNP conference last week as I was in hospital. Don’t want to sound dramatic but from my hospital bed I had friends texting me to let me know how the vote had gone. Ever the optimist and believer of humanity I hoped the SNP would vote to remain out of NATO and all the nuclear trident trails that come with it. I was sad when my friend texted me to say that the vote had narrowly gone for them to remain in NATO but ensure Trident be removed. It’s a word I don’t use very often but I was GUTTED. Just after an operation to remove a growth I pondered on the bigger picture. I have friends who are SNP members who I know are passionate about Scotland being nuclear and NATO free so why had the conference voted in the way it did? The SNP are used to being seen as the motivators of change, on the side of the angels this has caused much contention in their ranks. 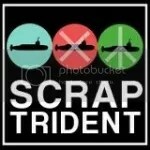 I see having nuclear weapons on our doorstep as a growth we need to cut out too. Lets make our vision of an Independent Scotland a beautiful one. People want to know the facts about how they will be better of in an Independent Scotland. The policy of the SNP so far seems to be don’t worry things will be just the same let’s leave the problems til the morning after. Well for me I know we are in the Goldilocks zone, the time is just right for independence and I want to taste it in my lifetime. Let’s get the argument out to those who really matter the people of Scotland not just politicians who parlez with each other and have already made up their minds. Lets share how beautiful an Independent Scotland can be. It could be beautiful and I know it will be. Let’s not leave the big questions til the morning after the night before as we might wake up to the headache that most people have voted to stay in the union. We need to share our vision of an Independent Scotland and answer all the questions that people want to hear the answers too. 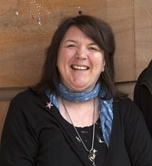 I am Sandra a woman, feminist, mother and proud member of the SSP and will always be part of the debate. Reclaim your part in the Independence debate and always remember it is yours!! To all my friends on a day when Ian Duncan Smith is calling for a cap on child benefit for two children which is another blog I will write today, I want to sail away from this ideology of hatred and be part of a nation where we look after each other. A kinder fairer society. Lets look after each other my friends. Well done to Jean Urquhart and John Finnie for their stance and not compromising their beliefs under so much much pressure. This entry was posted in Uncategorized and tagged SNP Independence NATO SSP. Bookmark the permalink.